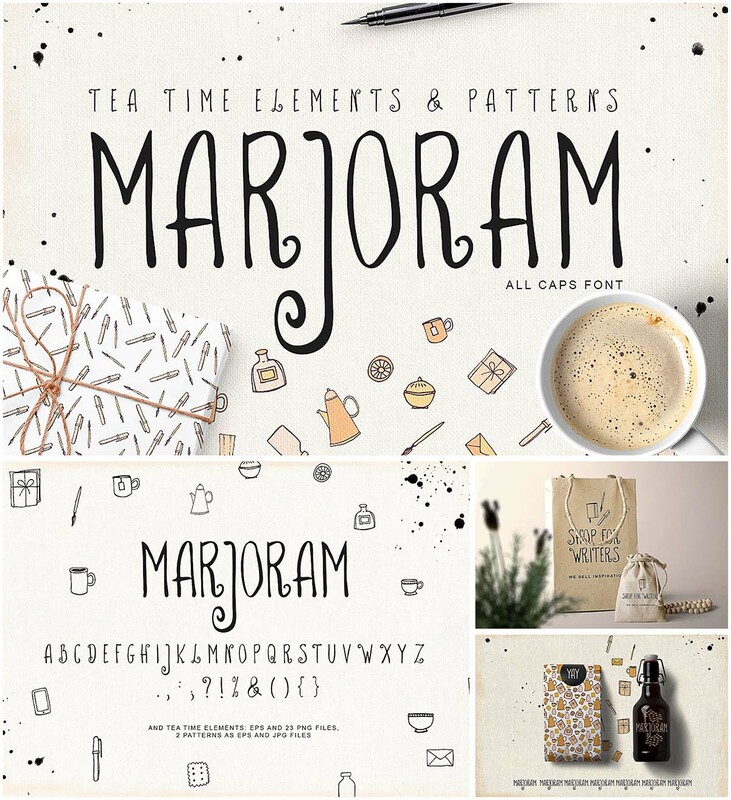 Introducing Marjoram – font and eps, png illustrations. Ideal for invitations, logos, branding, blogs, handmade craft items, scrap booking, printed paper items and more. File format: .otf, .png, .jpg for Photoshop or other software. 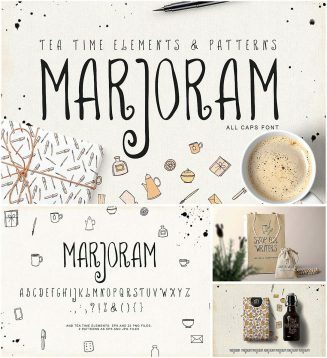 Tags: coffee, cookie, craft, envelope, hand drawn font, pattern, script, tea.